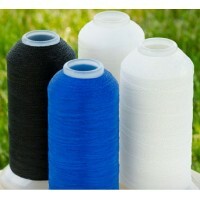 PremoBond Polyester Thread Polyester / Plied / Bonded PremoBond is a bonded twisted polyester thread designed to meet the performance requirements of a wide range of applications. 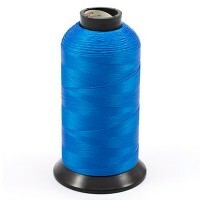 In addition to good overall UV, colorfastness, and chemical resistance properties, PremoBond’s excellent bond qu..
PremoFast Polyester Thread Polyester / Monocord (low twist) / Bonded / Solution Dyed A bonded monocord low twist multifilament sewing thread designed for use in outdoor product applications. Fil-Tec's Premofast Polyester is UV treated and solution dyed for optimum durability. 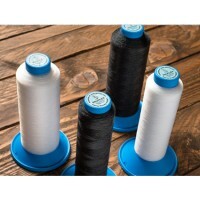 FEATURES &..
PremoLast PTFE Thread PTFE / Plied / Bonded Fil-tec's PremoLast "high tenacity" PTFE sewing thread offers superior sewing performance when compared to most competitive products. Since PremoLast is made with high-tenacity PTFE yarn, it has 25-30% more strength per size compared to regular ten..
Lenzing Profilien PTFE Sewing Thread Profilen® PTFE sewing thread is a high-performance PTFE (polytetraflouroethylene) thread for marine and outdoor products. Benefits of using Profilen PTFE sewing thread: Virtually unaffected by sunlight (UV) or nature's harsh elements Resistant to microo..